The Pittsburgh Steelers have lost another player to free agency. Cornerback Brice McCain via his agent, David Canter, has signed a two-year contract to play with the Miami Dolphins. Canter made the announcement via Twitter. McCain joined the Steelers for the 2014 NFL season after spending his first five seasons in the league with the Houston Texans. In one season, McCain started nine games following the benching of Cortez Allen. During that time, McCain recorded three interceptions – including one for a touchdown against the Jacksonville Jaguars. McCain added a fumble recovery on defense. With Allen and William Gay under contract for the 2015 season, the Steelers have a bigger depth issue at the cornerback position after not targeting McCain as a priority signing. The Steelers are likely to watch the free agent wire for an available replacement while taking another look at the draft board in order to fill McCain’s spot. 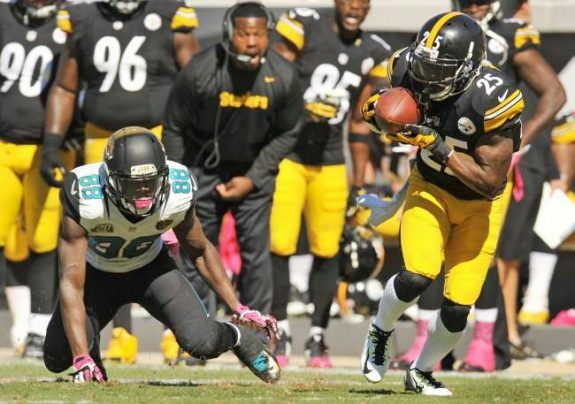 Be the first to comment on "Steelers Free Agent Brice McCain Signed by Miami Dolphins"